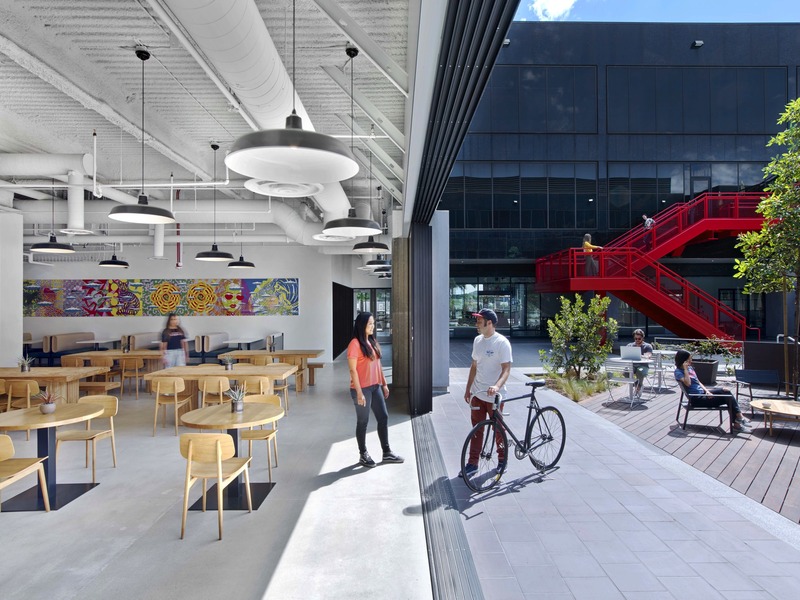 A Design that combines work and play. 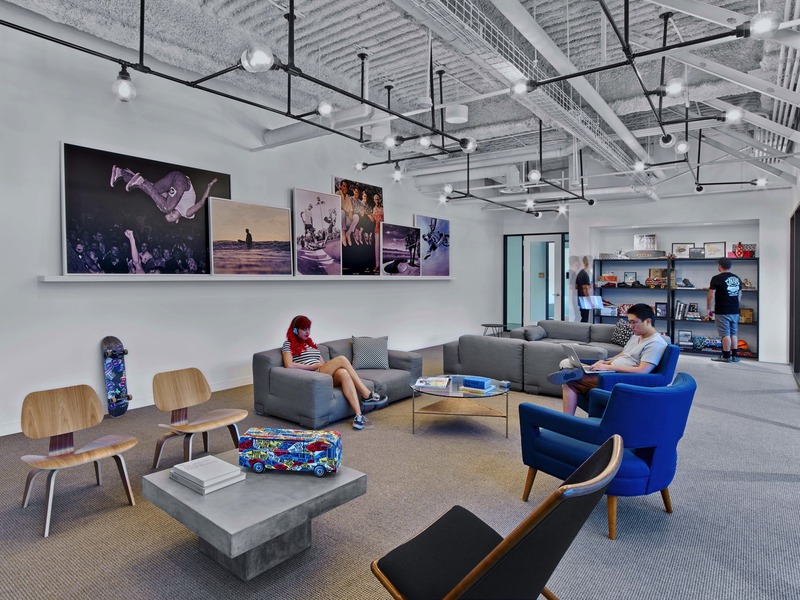 Further fueling the sense of community, the more public circulation that rings the courtyard on all floors is outfitted with meeting spaces, booth seating (a favorite from the beginning) and places for staff to just get a different perspective. 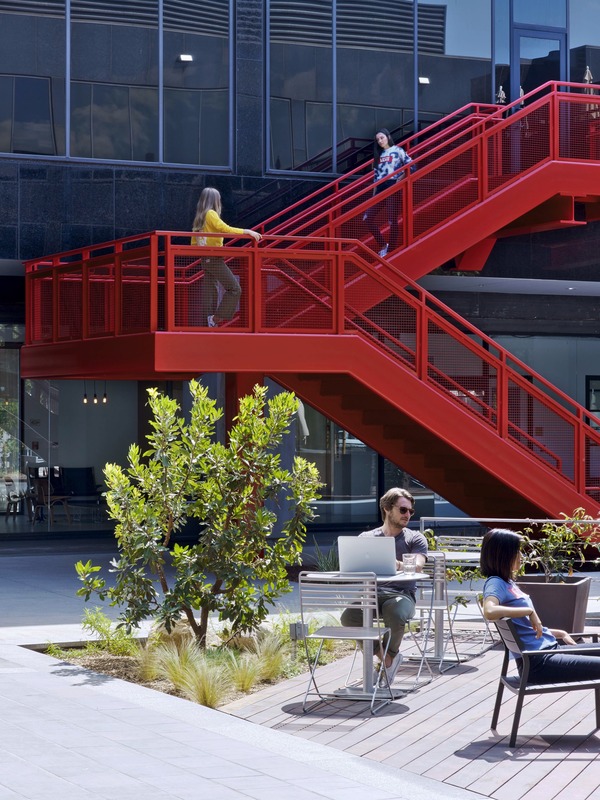 This configuration allows for an employee or visitor to move throughout the building without traipsing through someone’s work environment bringing distraction and noise. 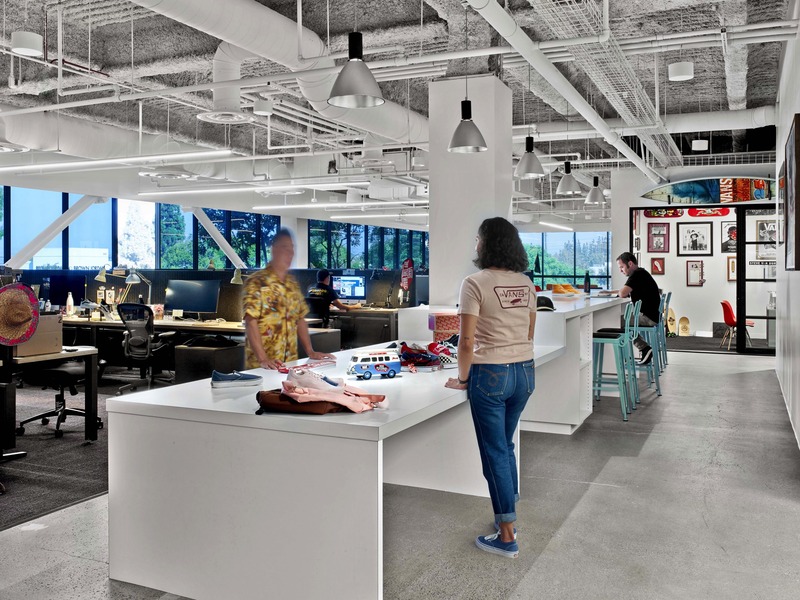 Once within the team work environments, employees are afforded plenty of individual space to layout new products, fabric samples or prototypes. 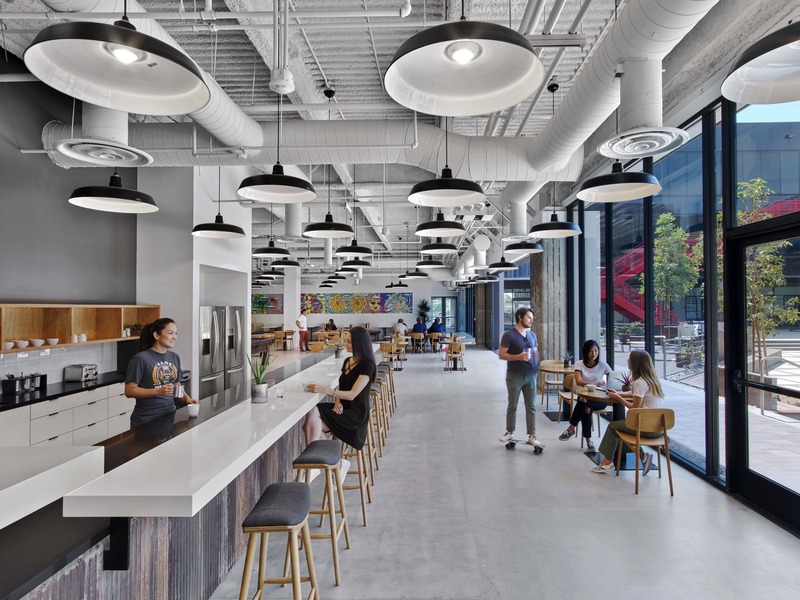 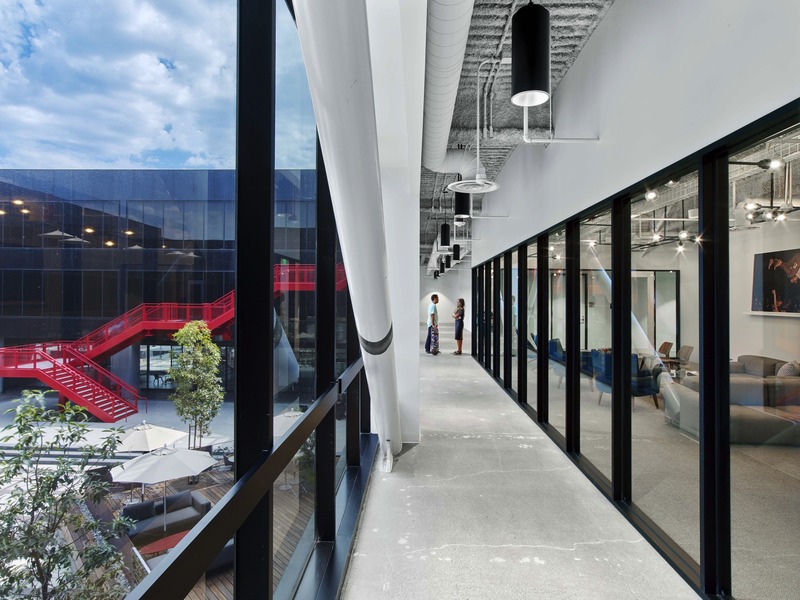 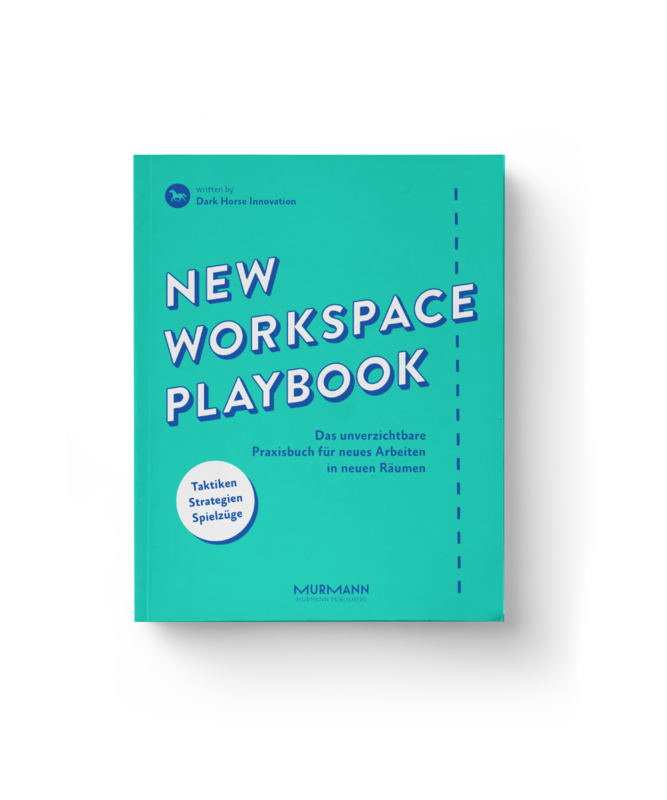 These individual working neighborhoods, also give way to more shared spaces— dedicated work rooms that can retain a project teams’ memory on its walls, various spaces for groups to meet, as well as rooms where one-on-one conversations can happen freely and within the work environment. 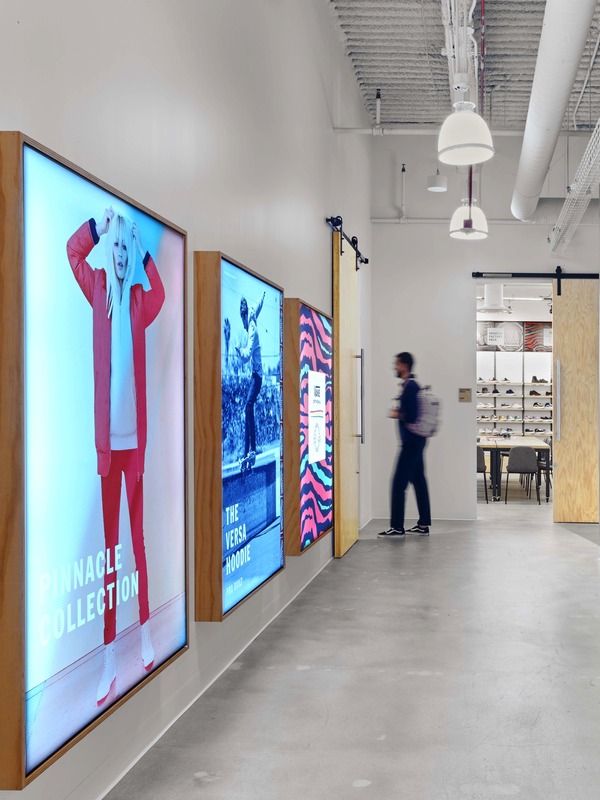 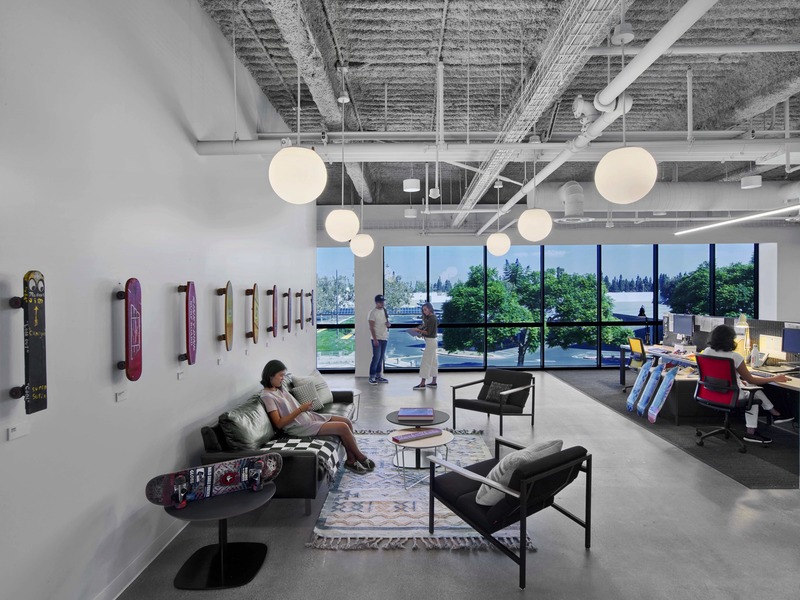 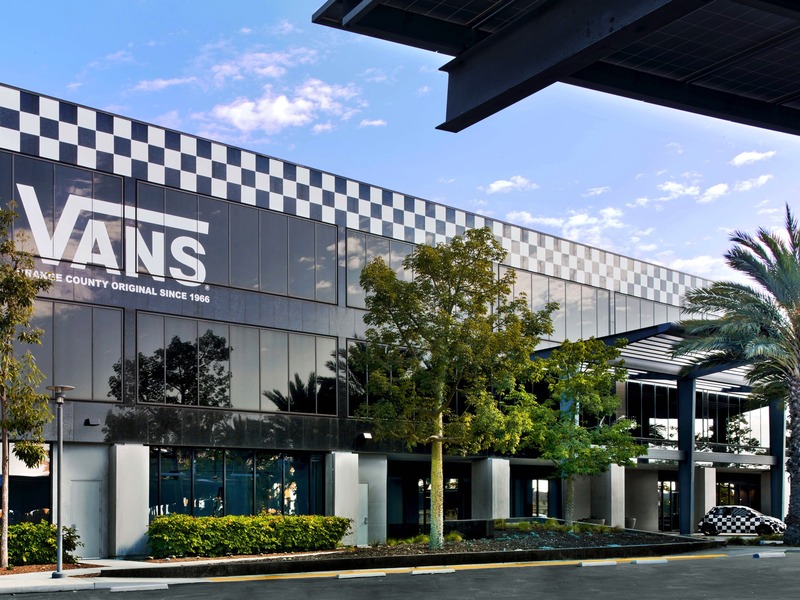 In homage to the brand’s deep roots in music, there is a jam room available to staff to break out into song at any time, and each of the conference rooms is “wired for sound” with Bluetooth sound. 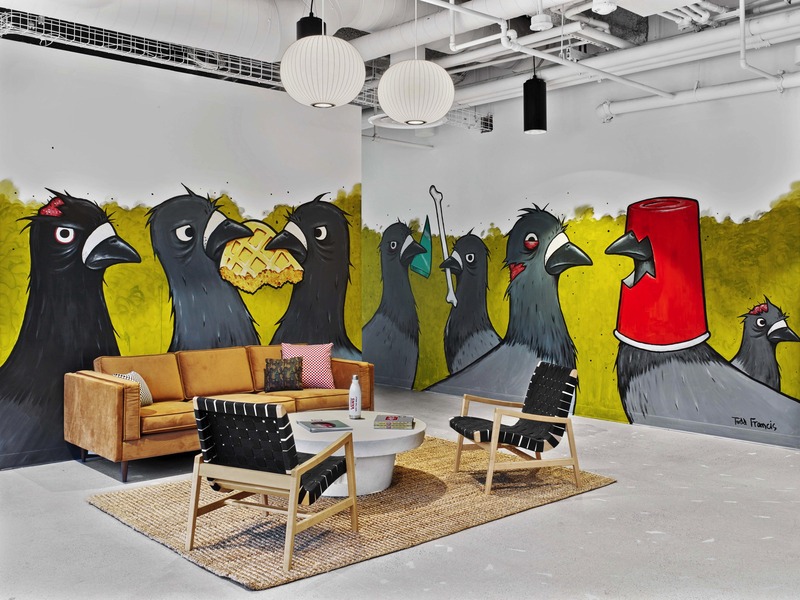 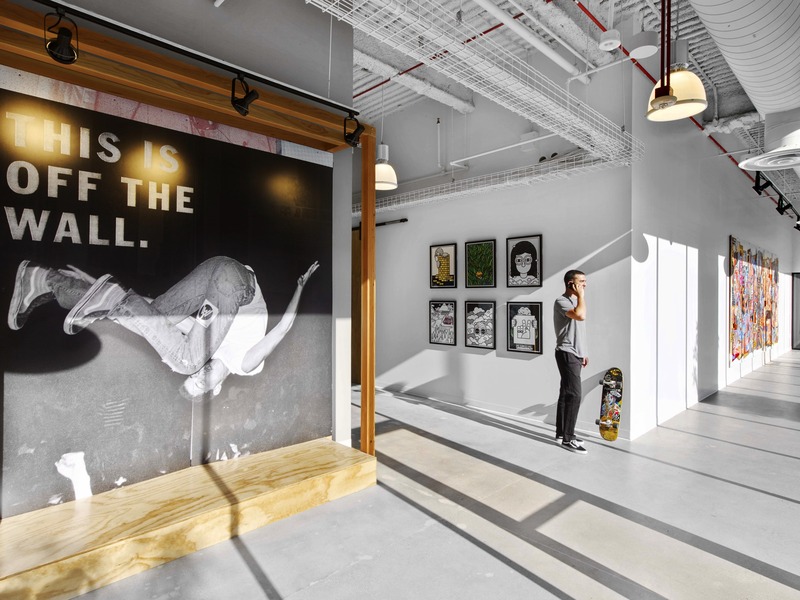 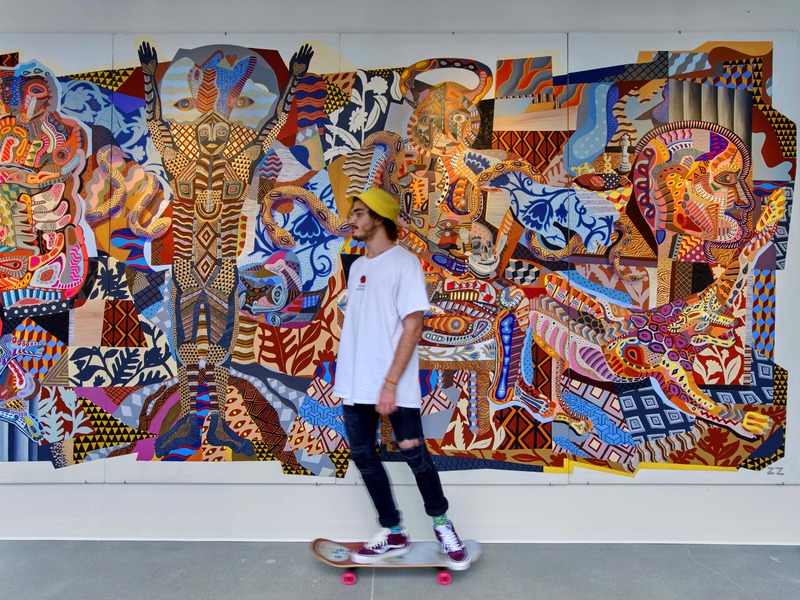 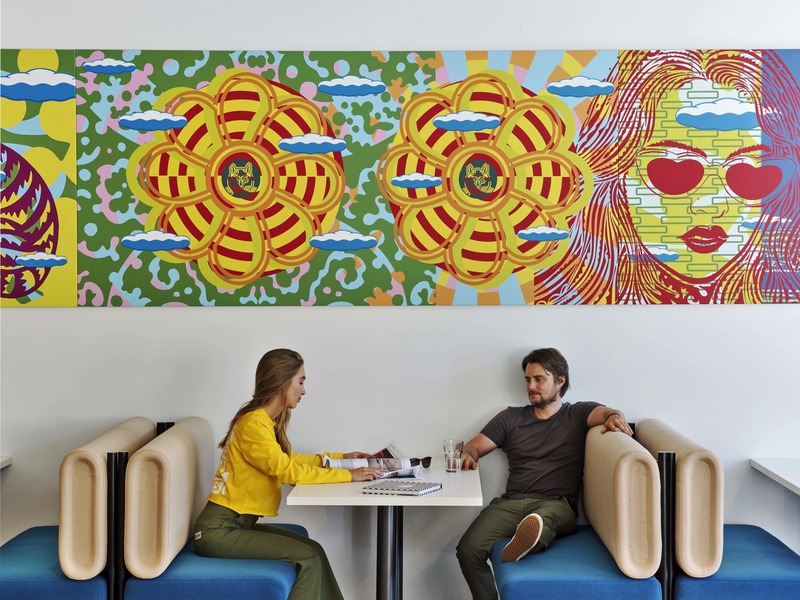 The shared celebration of Art is apparent throughout with the incredible commitment to Artistic expression— murals, classic skateboard art, and all sorts of street art decorate the walls and elevate the experience. 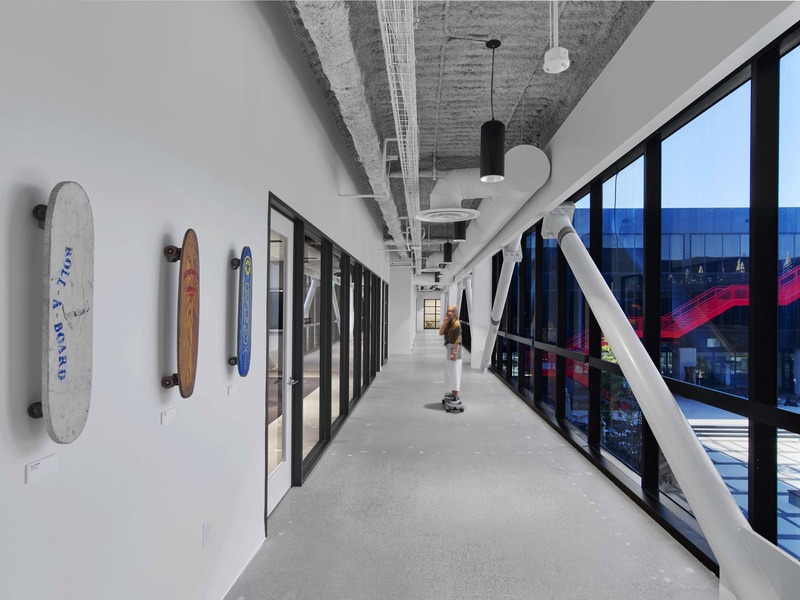 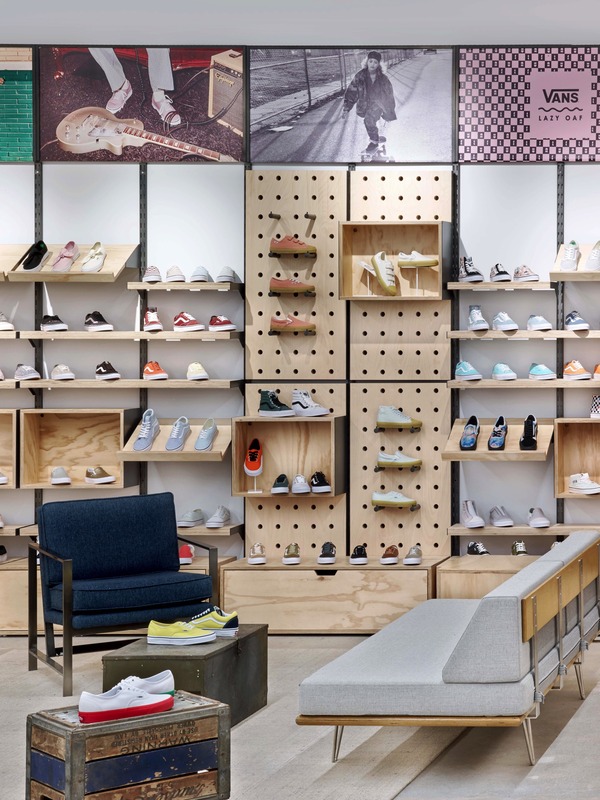 The iconic Vans red staircase becomes the literal and figurative symbol of connection between the varied groups.